Debossing and Foil Stamping available on Standard Leather covers. What a hit your next high-end album will be, one with thick pages made from Classic Felt press paper, wrapped in a custom Satin cover and shipped to you within 2-3 days. The Miller’s Signature Album is a simple choice that tops the rest. 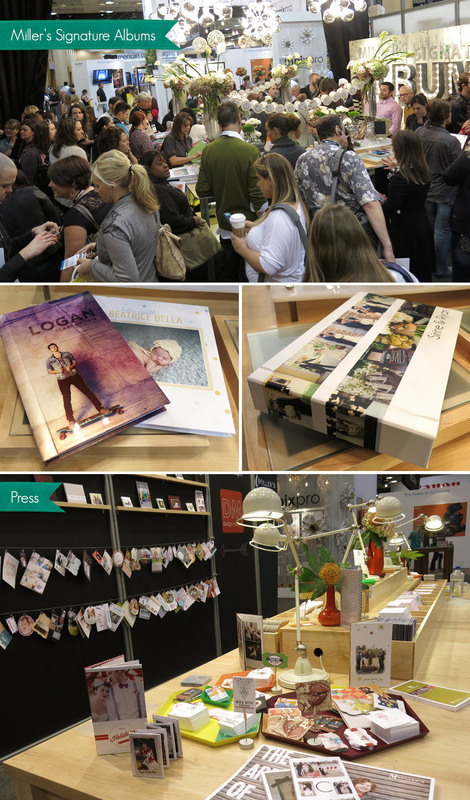 Another big hit was our Design Market wall and press card table, both featuring tons of Design Market templates. Booth-goers fell in love with our new-ish Tear-Off Notepads and Luxe DVD Cases, also on the press side. We introduced our new Vivid Metals and Luxe Vivid Metals coming soon. 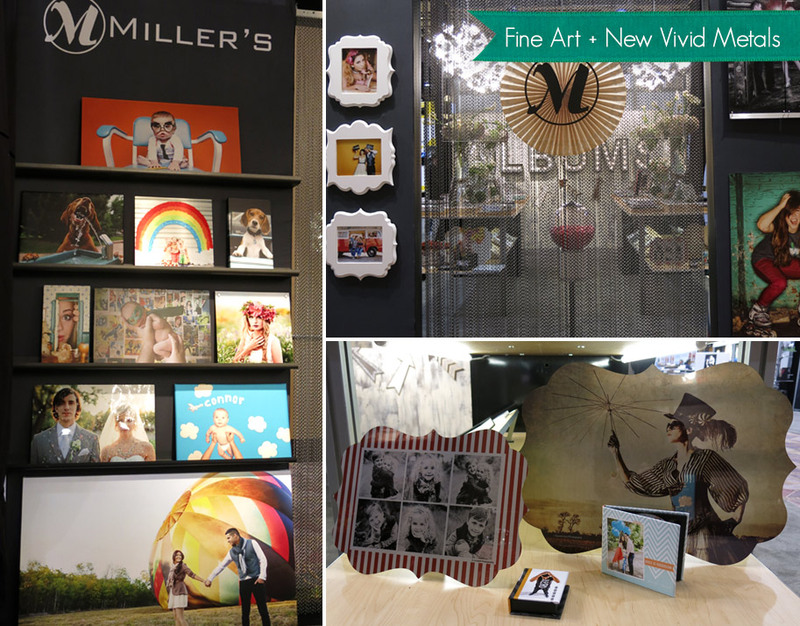 These gorgeous prints bring a new definition and clarity to your beautiful images and offer another hip, edgy fine art option. And we cannot write a wrap-up without mentioning our amazing speakers! Each day of the event we hosted talented speakers to share their expert knowledge on a number of enlightening topics. The thing we love most about any show is getting to meet photographers face to face, to learn about their changing needs and to share our excitement for what we do through personal and product interaction. We hope to see you at one of our many conventions this year! Don’t yet have an account with Miller’s? Sign up now and receive four free 8×10 prints! 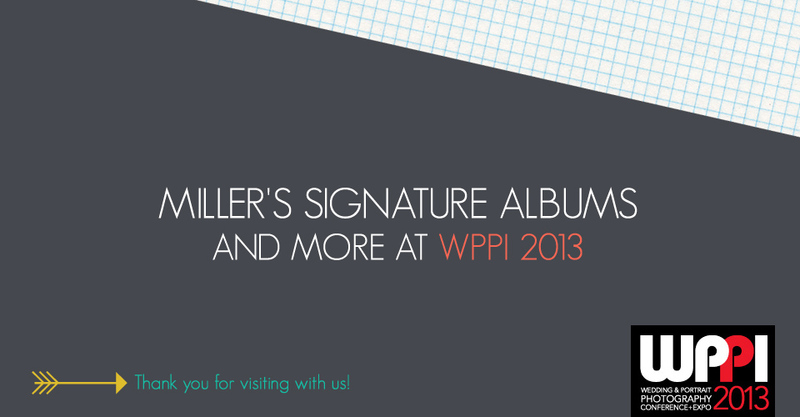 And stay connected with us on Facebook and Twitter for more new product and promotion updates in 2013.